Prince George, B.C. 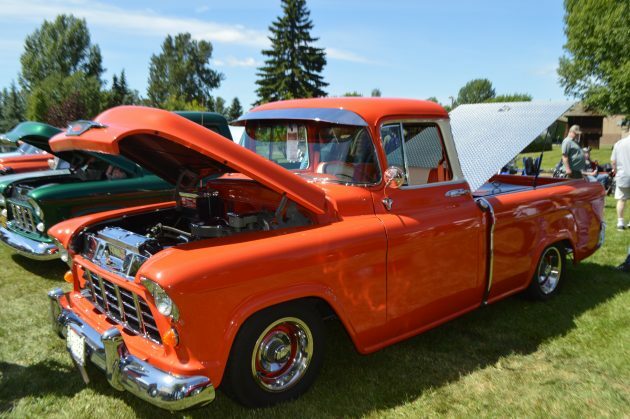 – It’s one of the biggest annual events in the park, if not the biggest, and once again Show ‘n Shine was an enormous crowd pleaser this Father’s Day. 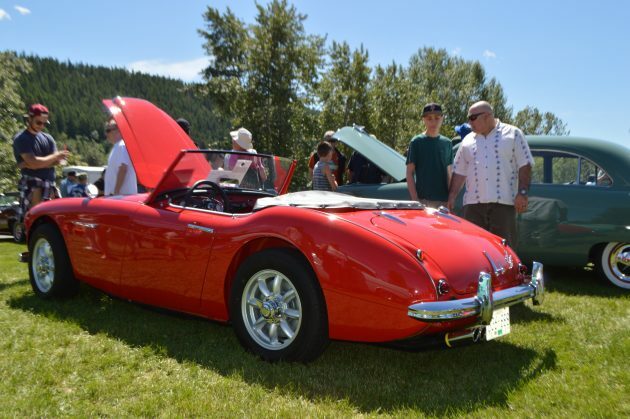 Thousands of people from far and wide in north-central BC headed to Lheidli T’enneh Memorial Park on Sunday to have a look at the wide array of vintage and modern-day cars, trucks and motorcycles on display. 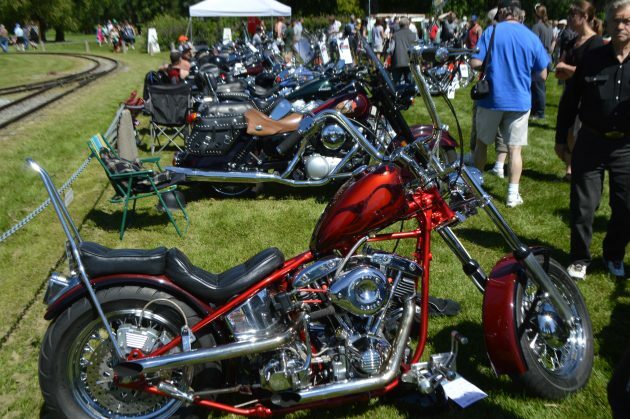 It was the 43rd annual Show ‘n Shine hosted by the Cruisin’ Classics Car Club with bikes brought in by the Prince George Vintage Motorcycle Club. 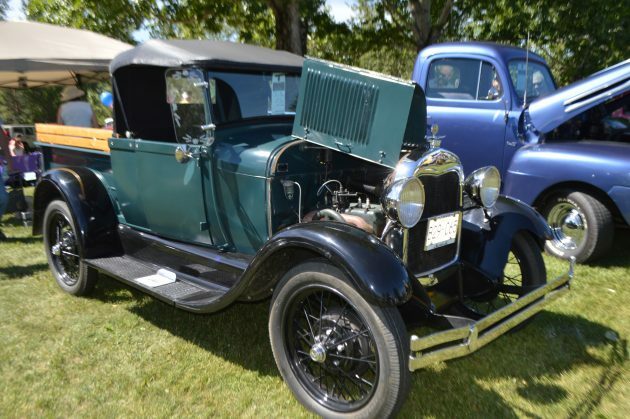 Vehicle owners come from all over the region and from points that are farther away, including the lower mainland. 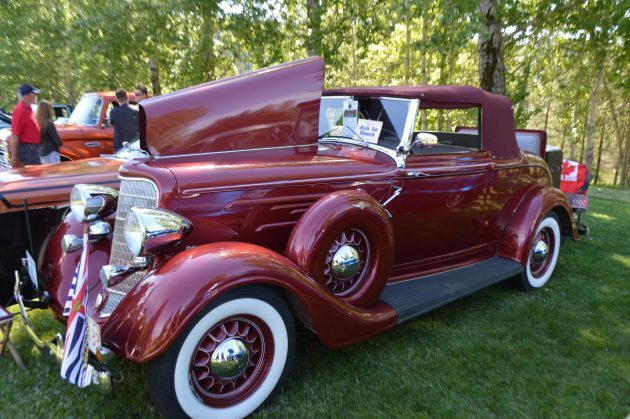 And they’re more than willing to talk about the history of their prized possession, right from purchase through the labour of love, as well as expense, of fully restoring the vehicle to the point they’re satisfied with the finished product. Smiling patrons walked through the show in appreciation, some with fond memories of time spent in one of those beauties “way back when”. 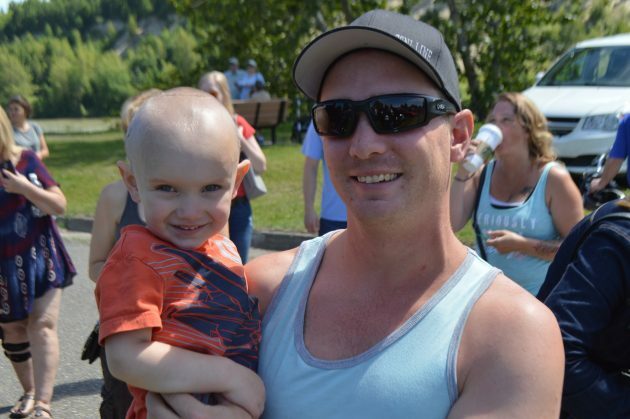 A number of food and beverage vendors were on the grounds selling their wares while musical entertainment provided a great backdrop to a sunny Father’s Day. « Previous story: Here’s to You Dad! I wonder what it will be called when that land is returned to the descendants of the original occupants and they build a village there? Didn’t make it this year, thanks for the pics.